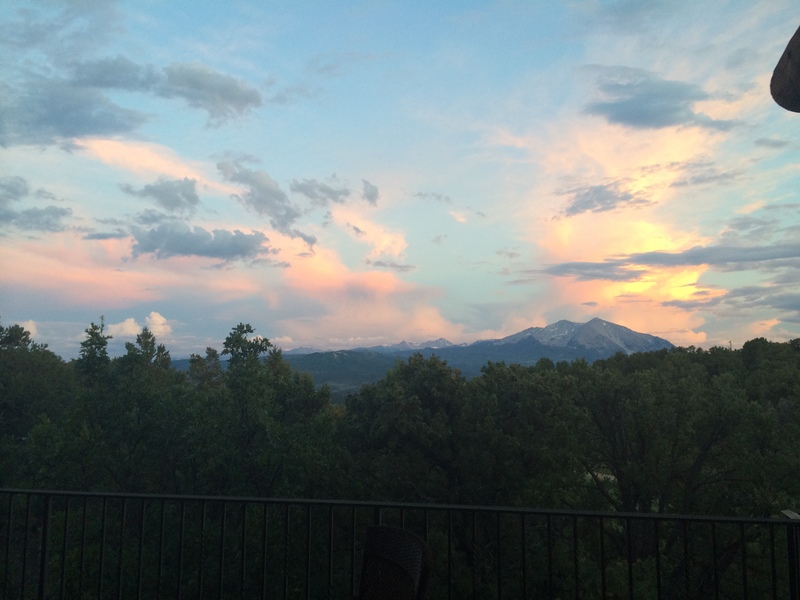 During the summer months in Colorado I am usually outdoors on a hike or my bike and while out there I can’t help but be inspired by all the beauty surrounding me here in the mountains. One of the things I often think about while out there is what I am going to make for dinner. I just posted another fresh farro salad and this was my original version. Both recipes are winners in my book. I am always on the search for some new vegetarian recipes to try out. 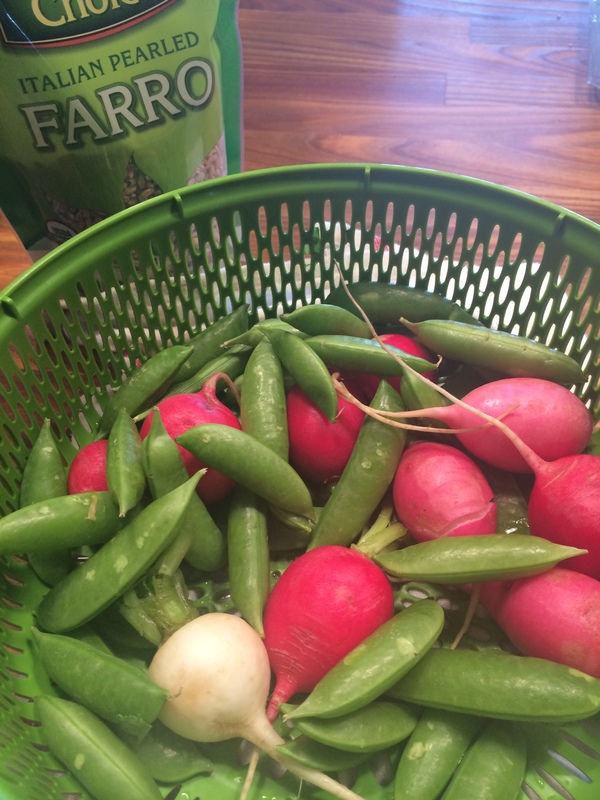 The inspiration for this salad came from some beautiful radishes from the farmers market and some fresh sugar snap peas. During the summer months with all the beautiful fresh vegetables available it’s super easy to throw together these salads. The fresh parmesan pieces give it the extra kick and salt it needs, use as much or as little as you like. I prefer pearled farro for this recipe. Follow directions on the box of farro or fill a saucepan to about an inch from the top. Bring to a boil, and add the farro and cook until tender but still chewy, about 10 minutes. Drain in a strainer and run under cold water to cool down. Drain out excess water and let sit while you prep the rest of the salad. 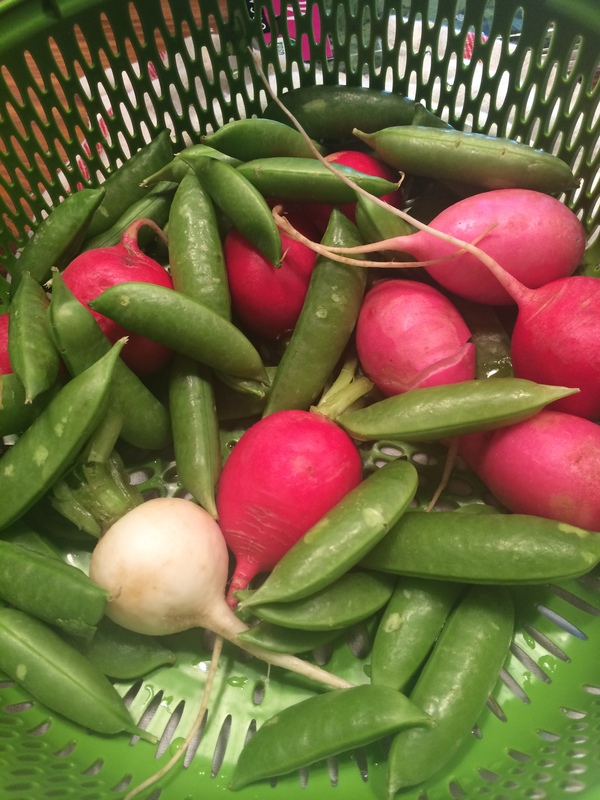 Wash the snap peas and radishes. Remove the stems from the snap peas, cut them crosswise into 1/2″ pieces and add to a medium bowl. Trim the stems off the radishes and remove the root ends. Slice the radishes in half , then slice crosswise into thin half moons. Add the radishes to the bowl. Trim the ends of the scallions, wash and then slice the white and light green parts of the scallions into small rounds. Add to the bowl. Tear the mint leaves and add to the bowl. Take the parmesan and crumble into the bowl, you can use your hands or a knife to crumble parmesan. Add the cooled farro to the bowl. Add the lemon juice, olive oil, salt and pepper to the bowl. Taste for seasonings. Mix and allow to sit for a bit before serving. I made ahead and stored in fridge. I removed before serving for a while to bring to room temperature. 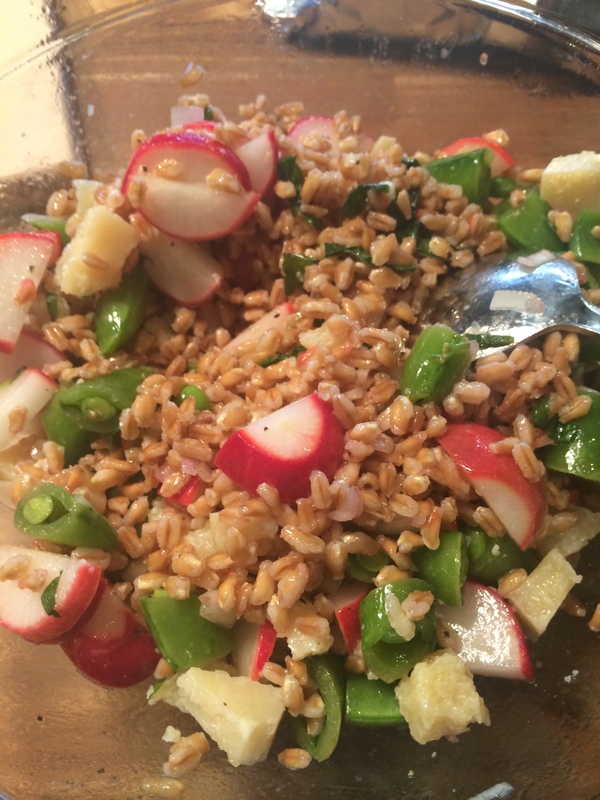 This entry was posted in Raw, Salad, salad dressing, vegetables, vegetarian and tagged farm fresh farro salad, farmers market farro, farro, farro with radishes and snap peas, Summer Salad. Bookmark the permalink.